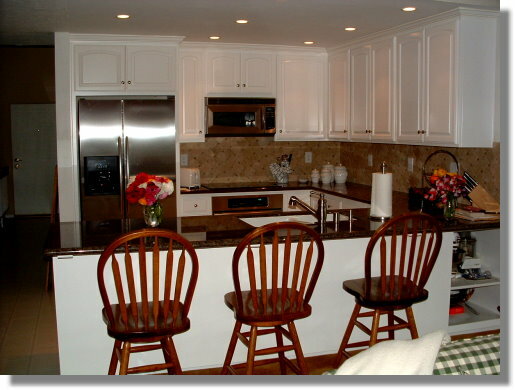 Remodeling kitchens in Orange County since 1985 has made us an industry leader for quality kitchen remodels & designs. 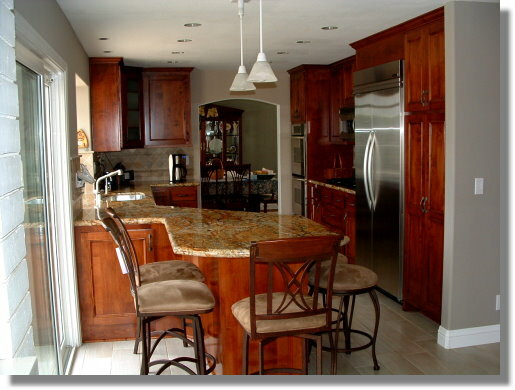 If you are considering finding a contractor for your kitchen remodel, give us a call. 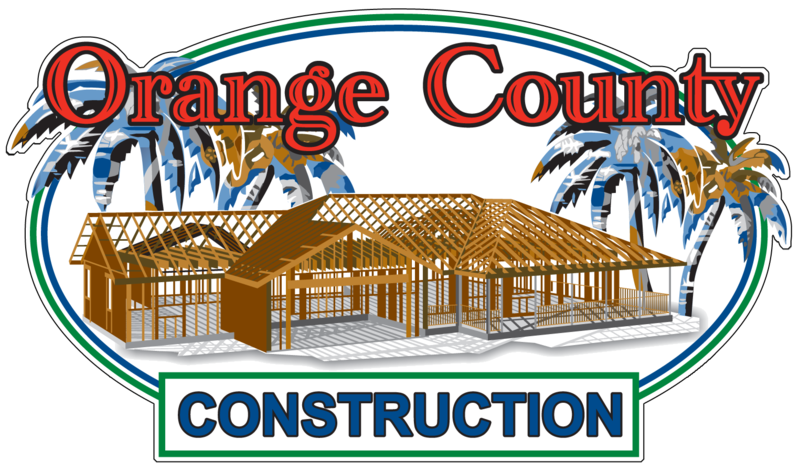 You will work directly with the owner of Orange County Construction for your kitchen makeover. 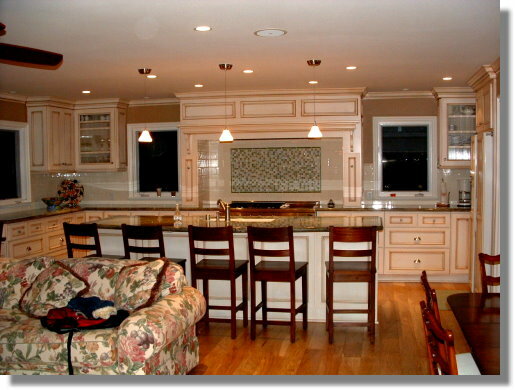 We have done many kitchens throughout the OC and have many satisfied clients that will offer you a testimonial about our beautiful kitchen remodels. We have a beautiful custom cabinet shop located in Huntington Beach California. 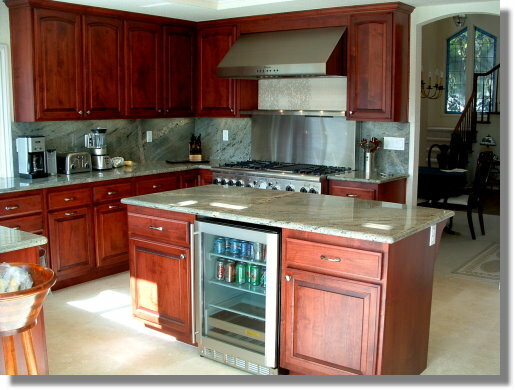 Our state of the art, 3000 square foot custom cabinet shop has produced many kitchens in Orange County. 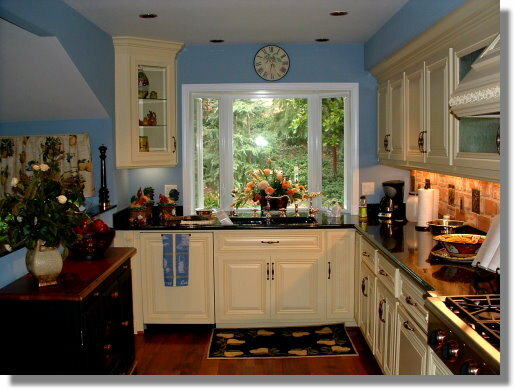 Kitchen remodeling is the best way to get a better resale out of your home next to curbside appeal. 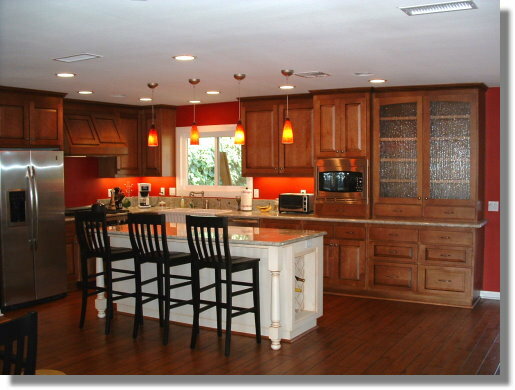 A kitchen remodel is a huge expense and should be taken seriously. With proper planning and budgeting, you will be able to enjoy a Chef’s dream for many years. Everyone uses a kitchen differently. Some use it as a main food preparation area when others may use it as a social gathering area. Many kids nowadays will eat breakfast and do their homework at the same time at an island cabinet. 2. In kitchens smaller than 150 sq. 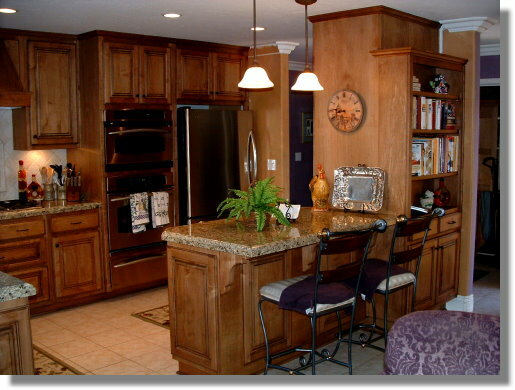 ft., opt for at least 13′ of base cabinets, 12′ of wall cabinets, and 11′ of a countertop. 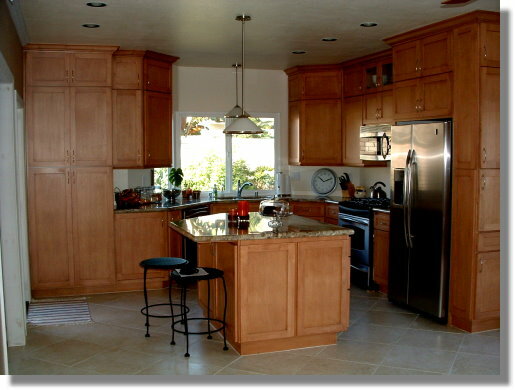 In kitchens which are larger, go with at least 16′ of base cabinets, 15 1/2′ of wall cabinets, and 16 1/2′ of a countertop. 6. For cleanup ease, install the dishwasher within 36″ of one edge of the sink and allow for at least 21″ of a standing room next to it. 9. For the comfort and to help avoid repetitive-motion injury, plan for work counters of different heights; between 28 and 36″ off the floor (easier for chopping and seated-use access), and between 36 and 46″ for general tasks (higher counters accommodate taller cooks). Everyone wants the look and feel of natural hardwood, but without the high price. Thankfully there is a less expensive alternative that still offers the look of hardwood flooring. Laminate wood flooring is significantly less expensive compared to natural hardwood flooring and also very easy to install. It comes pre-finished and can be glued down or applied over a thin foam paid laid on the subfloor. There are also types that are adhesive-backed. Make sure you check the condition of your cabinets before you rip them out and replace them. You may be sick of their appearance, but if they are still in good condition you have the option of refinishing them to give them a fresh new look. This will save you a lot of money. Also, consider updating the hardware on your cabinets. 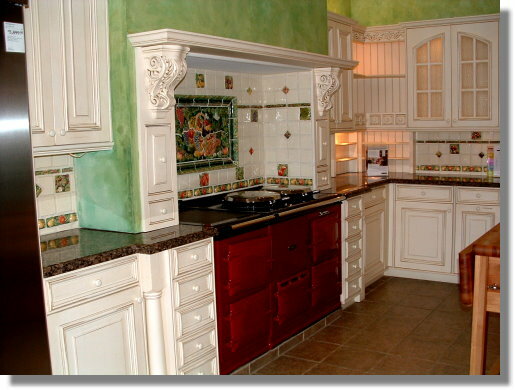 New hardware can significantly change the look and feel of your cabinets and it can be done at a very low cost. Furthermore, you can also refinish appliances as well. Neutral colors are beneficial for two main reasons. First of all, they are less expensive than custom colors which will put more money in your pocket. The money you save can be put towards something else, such as energy efficient appliances. Secondly, neutral colors add better resale value to your house. It never hurts to put some thought into the future. Once again, laminates are the cheaper alternative. Laminate countertops are available in an array of styles that mimic the look of natural stone and other solid surface materials. Why not create the look without the price? Keep in mind, laminate countertops are economical, easy to clean and come in a host of colors and patterns, but they are not built to last. 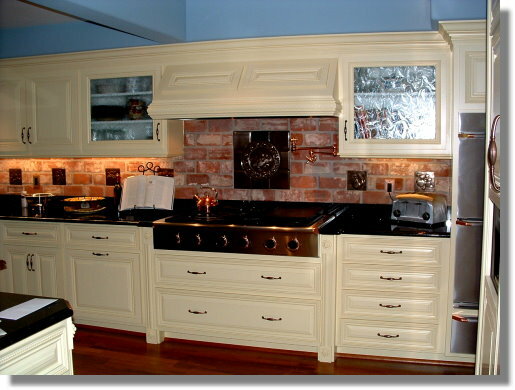 Chrome is the way to go if you are remodeling your kitchen on a tight budget. It is the least expensive material of choice but still offers an attractive look. If your budget allows you to, consider combining chrome with another finish, such as nickel or brass. I would also recommend purchasing a faucet with a lifetime warranty. Purchasing pre-finished trim will eliminate the cost of having to hire someone to paint or stain your trim. This may not be a major concern for those of you that plan to do the painting and staining yourself.